We want to share some irresistible ways you can show off your bling. We know your passion is creating beautiful jewelry. Packaging is probably the last thing you want to worry about. But these simple ideas can help you make a lasting impression. Packaging is like a blank canvas. You can start with something simple. Add a few extra touches and accents and voilà! You have a package that is bursting with personality. This special attention to your packaging can make the difference in getting a one-time customer and repeat business. 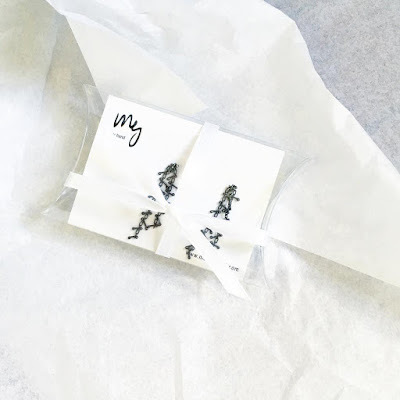 Whether you sell jewelry online or at the local craft fair, we have some packaging ideas from our customers that will help you organize your products, display them beautifully, and create gift-ready memories. We have organized them into those primarily selling in bulk/online, those looking to sell into retail, and those that want to do gift-ready packaging. Plastic bags can help you organize materials and your finished pieces. They can also serve as a take-home bag for your customers or used for shipping. Who knew that these little plastic bags could be so useful? 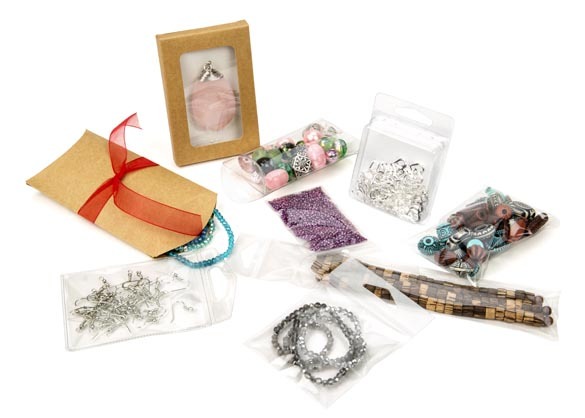 Two great options for jewelry makers are either zipper bags or flap seal bags. “What’s so great about them, they’re just bags?” …you might say. Well, for starters they’re resealable. That’s right. You can open them and seal many, many times. 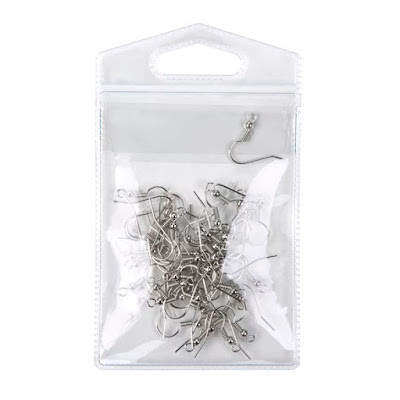 Most zipper bags used in bulk jewelry packaging are made of polyethylene (PE) material. This thinner, flexible plastic works well for packaging bulk, lightweight items. Flap seal bags are made from a type of polypropylene (PP) and are more clear than PE bags. Flap seal bags also feature a self-adhesive on the flap and you can adjust the length of the bag to fit a specific piece of jewelry. There is no limit to what you can put in these bags. You can store your long-length necklaces, charms, posts, chains, wire, cord, and the tiniest of beads. These bags come in all shapes and sizes. And, the best thing? These bags are clear so you can see what you’re organizing. No need to second-guess what’s in the bag. The clear visibility of these bags makes it easier to organize materials and products for your customers. 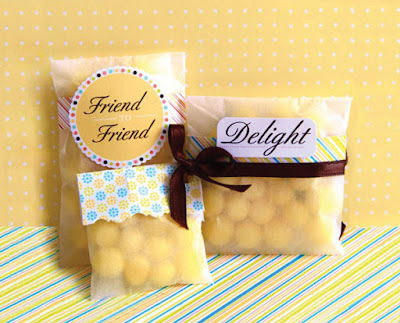 They’re just plastic, but these cute, little bags can make a memorable take-home package for your customers. If you like to display your jewelry in the open-air, these bags are especially useful. Once a customer has decided on a piece, you can easily slip this product into one of these bags. We have also seen our customers double bag their jewelry to separate and protect charms or featured settings from the chain. The inner “charm bag” is smaller and fits into the outer bag that serves as a protective shell for the entire piece. This prevents silver or gold from tarnishing, and adds further protection during shipping. Try adding a little extra note or material to help your customer feel like a pampered guest. There is something about dangling, sparkling objects that people can’t resist, which is why hanging packaging works so well for the retail setting. We have seen customers use bags, pouches, and boxes when it comes to hanging packaging. and can be used for bulk supplies or finished pieces. Nothing is worse than spilled beads all over the floor, right? Hanging Zipper Bags are easy to manage. They vary in thickness, material, and style. Hanging Zipper Bags come in PE and PP (that’s polyethylene and polypropylene for those that need a quick refresher). 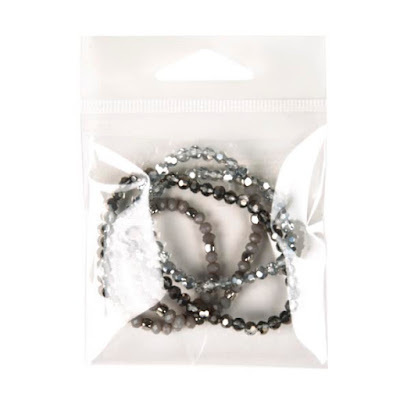 These are thin, flexible plastic bags that come with a hang hole to allow you to showcase your jewelry on point of purchase displays. You can get the hang hole in a round or euro style, so choose what looks best with your product and works with your retailers. Like the bulk PE zippers, the PE Hanging Bags get the job done, but PP bags offer far more clarity. Use PP if you plan to include a card with a graphic on it. It is clearer and will let that show through. PE is good to save a few cents and works well with graphics on the outside of the packaging. It really comes down to your budget and packaging style. Both are reasonably priced. 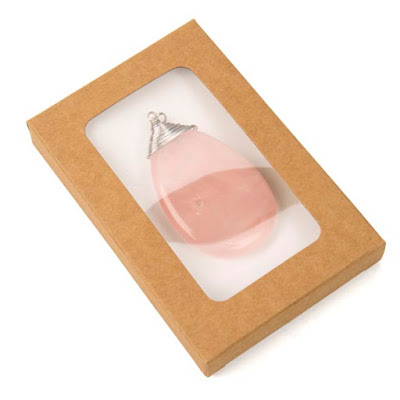 This style of bag is optimal for jewelry packaging because it is crystal clear, the clearest in the industry. It also has reinforced, laminated seams to prevent tearing and loads from the top or bottom. 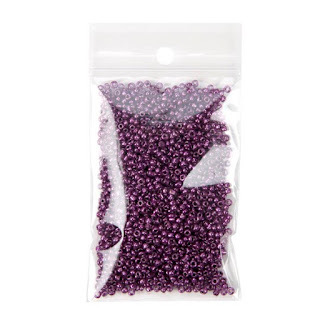 Get a top-loading bag so your tiny beads won’t spill out as they might with a bottom-loading bag. 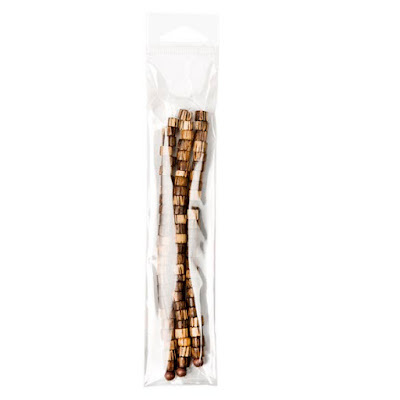 A resealable adhesive strip comes on the bag flap, great if you want customers to only use some of your product at a given time (e.g., beads) or if you want them to be able to handle the product before buying. Even though these bags are lightweight, these bags are strong enough for weighty pieces such as brooches and large-size stones. No one wants a crumpled necklace sitting at the bottom of a bag. To fix that, you can insert a card with notches so the necklace hangs nicely in the front of the card. Secure the remainder of the necklace inside of a smaller plastic bag and tape it the back of the card. This way the dangling chains won’t get tangled or bunched at the bottom of the bag. Vinyl pouches are uniquely thick and intended to be puncture resistant for heavy, pointy objects. 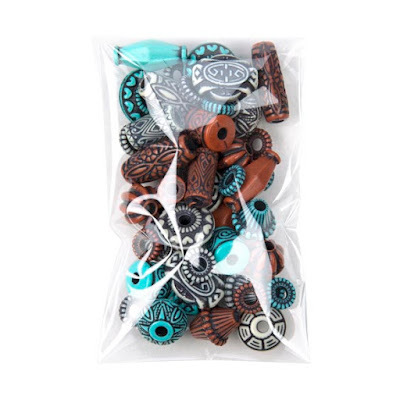 The vinyl material feels smooth to the touch and provides a soft quality, making these pouches a great choice for light earring backings, posts, hooks, charms, and more weighty jewels and stones. Not digging the bags? How about a box? Hanging clamshell boxes give you another option for puncture-proof packaging you can hang from your shelves. Although these boxes aren’t exactly shaped like clams, they do resemble clams in how they function. They have two halves that are joined together by a hinge. When these halves meet, they close together tightly, giving you a secure, air-padded container. 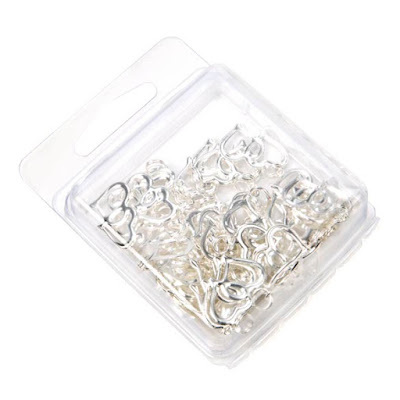 When you have sharp-edged jewelry that might otherwise tear your bags, these puncture-proof boxes will do the trick. They are made from thick 12 mil, durable PVC plastic. These boxes feel solid in your hands. The tight closure prevents anything from slipping through and protects your product. Your customers will find it easy to access materials. Sharp hooks, posts, charms, beads and heavier stones look stunning in these boxes. It’s true! These cute boxes are shaped like pillows. These boxes are made from 12 mil PVC, so they are durable and crystal clear for showing off materials, necklaces, and assorted beads. 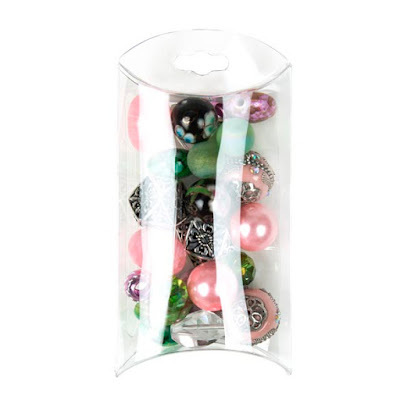 Because these boxes are rounded and sturdy, they work well for bulkier, larger beads. For a more elegant, refined feel, you can find these in a frosted finish. 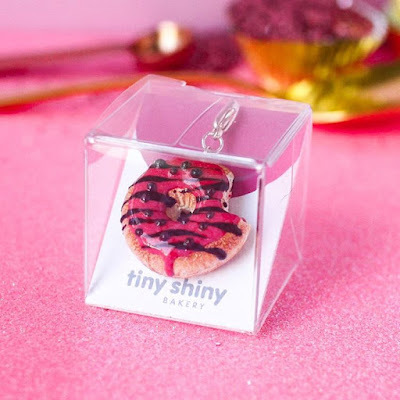 They are also available in a side hanging version so you can present your jewelry horizontally, which might be just what your need for necklaces or pendants. You can also insert cards for earrings, pendants, and charms, or wrap a necklace around a card with notches to hold the items in place. Dangling pillow boxes are pretty hard to resist! Who doesn’t love receiving jewelry as a gift? Jewelry helps celebrate that special anniversary or birthday. A gift-ready package can make life’s special moments all the more memorable. This ready-for-action package can be an enticing purchase for your customers. Boxes in unique shapes and textures offer a cut above the normal, routine packaging. All of the below ideas ship and store flat to save you a little cash, and can be decorated with ribbons and bows as convenient. That being said, these unique packages are practically ready as gifts and don’t require much to decorate. Pillow Boxes look just as elegant lying flat as they do hanging from your shelves, and make memorable gift packages. Because of their slightly rounded, arched shape, these boxes work well for rings and necklaces with thicker stones and beads. These boxes come in small enough sizes for single rings. 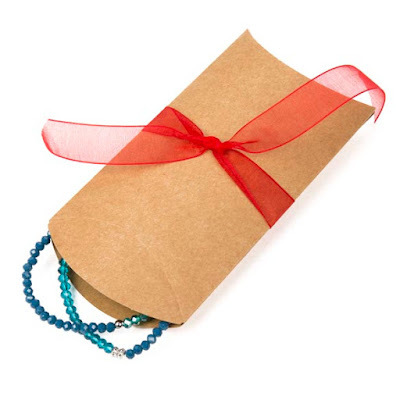 We’ve seen many customers display necklaces by wrapping them around cardstock before being placed inside the box. Because of their unique shape, these pillow boxes already stand out. Simple bows or twine may be all you need to create a memorable gift pillow box. Try adding fabric, cut-outs, twine or ribbon to the Kraft version for a homemade feel. You don’t have to spend a lot of money and, in fact, you can simply reuse materials you already have. The important thing is to give your customers a unique package that they can’t get anywhere else. Window boxes frame your jewelry pieces like works of art. This Kraft version offers another option for eco-friendly packaging. They make an attractive display for necklaces, charms, bracelets and pendants. The brown material gives this box a natural, organic look. Natural stones and beads look amazing in these boxes. A ribbon, bow, or twine makes this package gift-ready. You can also provide a colorful, natural accent with stamped design, cutouts, or herbs. These are simple, but effective ideas that work great on a limited budget. Clear Boxes are like a mini display case for your jewelry pieces. These boxes are softer and less rigid than acrylic boxes. They can be easily assembled by folding along creases that shape them into place. Because they are made with clear, PVC material, these boxes enhance colors and details. They come in a variety of sizes and work for just about any kind of jewelry. Some customers use insert colorful cards as a shelf to prop up their pieces. Accent with a ribbon or bow. We love the non-traditional, high-end look of glassine envelopes. These are suitable for lighter pieces like rings, earrings, and chained necklaces. Gold and silver pieces look especially impressive in these frosted and translucent envelopes. Unlike plastic bags, Glassine Envelopes do have adhesive to keep them closed. So, while these may not be suitable for shipping, they offer a classy and unexpected way to package gifts. We hope you can try some of these ideas that we have seen our customers using. Just remember, packaging doesn’t need to cost a lot to be effective and memorable, and it certainly shouldn’t be a chore to figure out! A few extra touches are all you need to personalize your packaging and keep your customers coming back. Whether you are organizing products, readying them for retail or giving them as gifts, these ideas offer you lots of choices you can explore for your business.